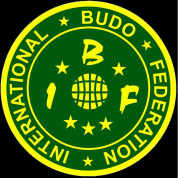 Club membership, once accepted, receives a Budo Passbook and IBF patch for the principal. The payment of the annual fee ($100) will give a listing on the members page with a link to the club website, reduced costs for students to attend IBF events, discounts from suppliers and a panel to assess for future grading. Membership is due March 1st of each year, we realize how hard it is for clubs to reconcile their members and annual fees etc. on return from the Christmas holiday period so have made it easier for those smaller clubs. The IBF Australia reserves the right to not accept an application or future renewals without reason. Be aware that to keep the integrity of the membership, applicants will be scrutinized. Life membership needs to be agreed between the President, Vice president and head of deptartment or state.